WMI is enabled by default on all Windows systems starting from XP. 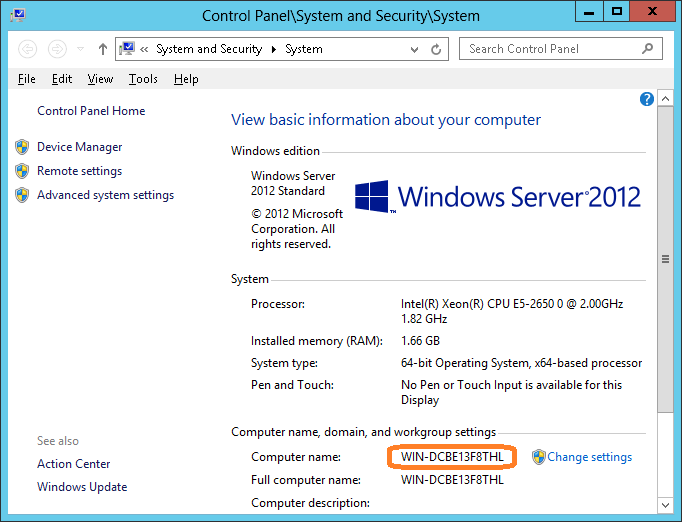 However, while WMI usually works fine inside a Windows domain, it becomes a big problem if you want to connect to a remote server and monitor it the same way. You can resolve this problem in a number of ways. This article describes probably the simplest solution. I suppose that you have administrative access rights for the client system (from which you want to monitor) and for the server system (to witch you will connect). This is required to make the necessary modifications to the configuration of each system. You can get that system name in the following dialog. Now let’s configure the server system. 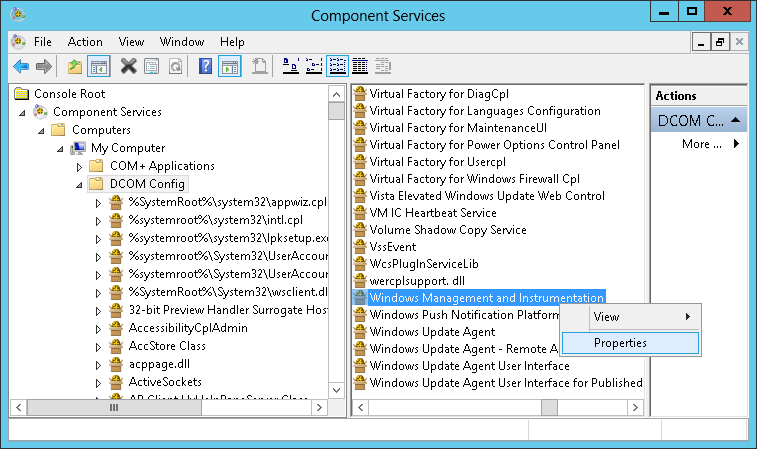 Open the “Component Services” window. You can find it through the Control Panel or Server Manager. Select the “DCOM Config” item in the left view as shown on the following screenshot. 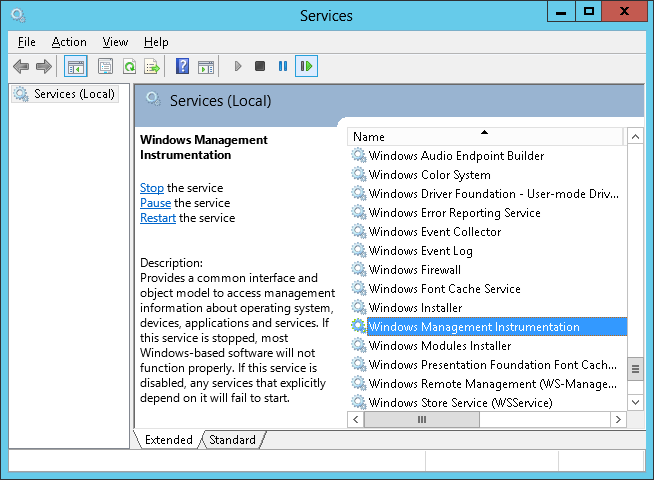 In the right view locate the “Windows Management and Instrumentation” item, right click on it and choose “Properties” from the popup menu. Open the “Endpoints” tab, click the “Add” button on it and choose the “Use static endpoint” option. Specify any unused port (preferably higher than 10000). The client will connect to this port over TCP/IP, so you need to open it in all firewalls you have between the systems. This includes local server Windows Firewall as well. In the following screenshot we use port 16100 as an example. 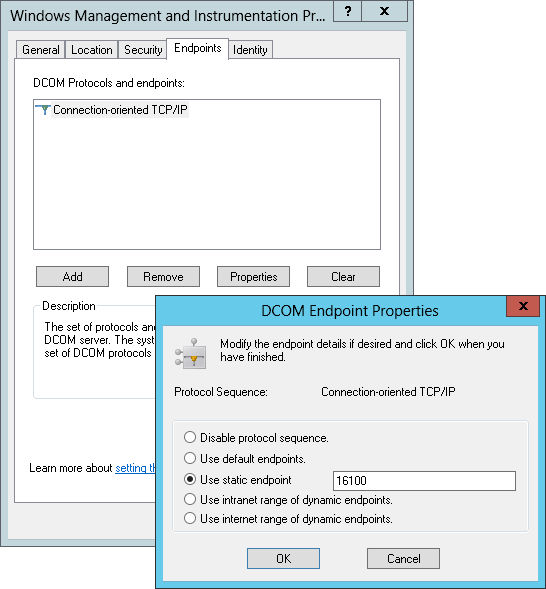 You will also need to open same access for the port 135, which is the standard WMI port. Click “Ok” in all dialogs. Restart the WMI service. You can do this from the Services window. Open connection to that port and port 135 in all firewalls. Execute the “winmgmt /standalonehost” command. Now you can connect to the remote server WMI. Do not forget to specify the credentials for an account that has the corresponding rights. 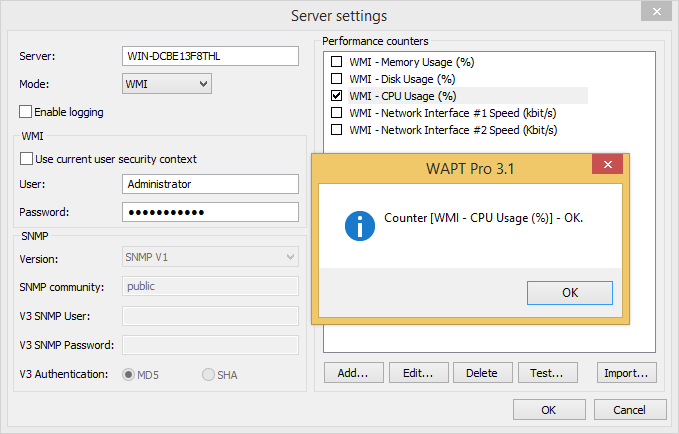 Here is an example of the WAPT Pro performance counters window that connects to the server we configured.